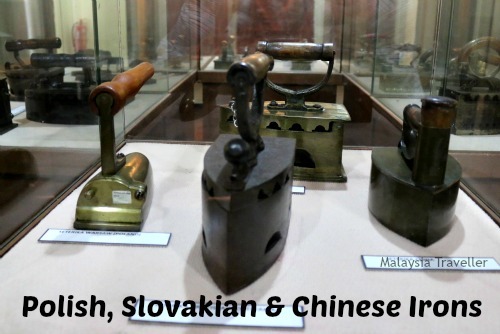 The Malay and Islamic World Museum in Melaka contains an odd assortment of exhibits, some more interesting than others. The museum is housed in a three storey building called Bastion House which was constructed in 1948 as the regional office for the Dunlop rubber company. It replaced an earlier building on the same site with the same name, a name inspired by its proximity to one of the nine original bastions which fortified the old walled city of Malacca. The top floor of the building served as the bachelors’ mess for Dunlop’s junior rubber planters where so many drinking sessions took place that it was nicknamed The Planters’ Arms - something of an irony given the current usage of the building. Exhibits are arranged over 3 floors. 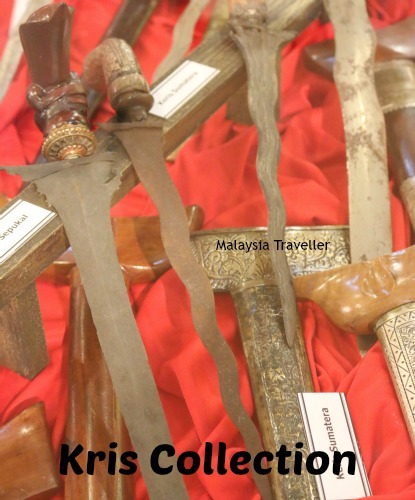 On the ground floor are some exhibits pertaining to Hang Tuah, a display of photos and books, a collection of kris, pistols and other weapons and, oddly, posters and models promoting some property projects in Melaka. On the second floor, the exhibits appear more relevant to Islam. There is a collection of seals inscribed in Arabic and Jawi. 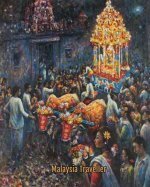 There are a number of maps showing the extent to the Sriwijaya, Majapahit and Malaccan Empires and another map of countries in the Malay-Polynesian family of languages. 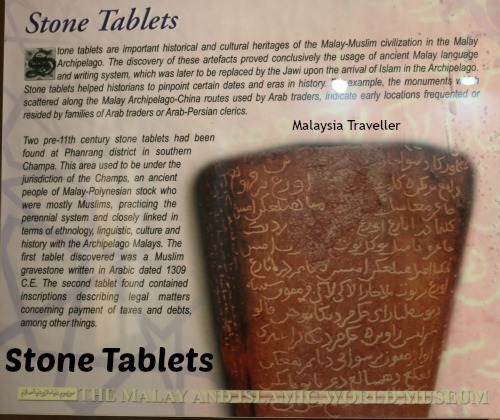 There are replicas of stone tablets found around the region dating back centuries which are both works of art and early examples the use of Arabic/Jawi inscriptions. 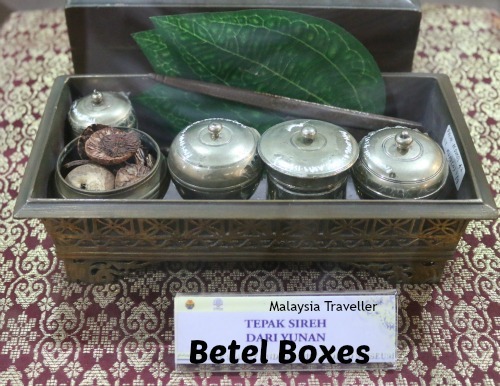 The museum has a selection of tepak sireh, Malay traditional metal containers for storing and serving betel leaves and accompaniments for chewing. There is a fine collection of mostly European antique irons (not sure how they relate to the topic of the museum). Malay musical instruments and wedding jewellery are among other exhibits on this floor. The top floor is given over to displays promoting tourism to the Sawahlunto province of Sumatra and other regions of Indonesia. 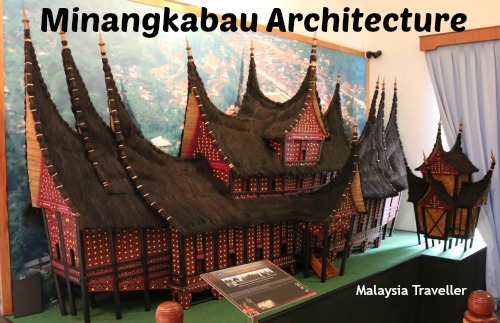 There is a large model of the Grand Palace of Pagaruyung which was burnt down by the Dutch in 1804. Fridays Open 9am - 12:15pm and from 2:45pm - 5pm. This museum is a mixed bag of exhibits some of which do not appear relevant to the theme of the museum. Perhaps this museum should have been combined with the other Islamic Museum which is just five doors away on the same street. 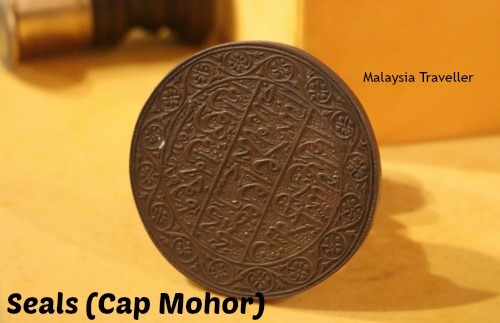 I suggest to PERZIM, the Melaka Museums Corporation, that Bastion House be used instead as a museum about the life of rubber planters, who were the original occupants of the building and played a big role in the development of Malaysia. Maybe Dunlop could be persuaded to pay for it, even though that brand is now owned by a Japanese company. 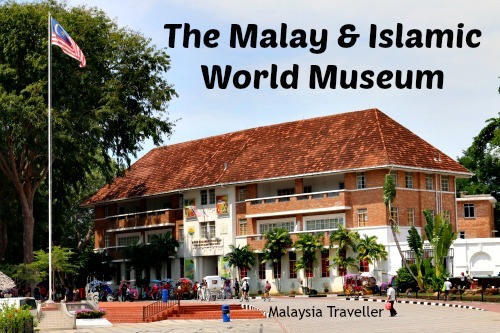 The Museuml is located in the heart of Melaka, a UNESCO World Heritage site, and is surrounded by places of interest. 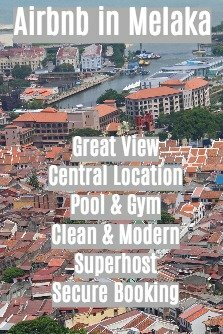 Read more on my Top Melaka Attractions page.